Essential Question:How does India's rich history and culture affect the world today? Learning Target: I can explain how India's culture affects the world today. Review study guide for test. Warm up: EOG review question: How did innovations such as irrigation, aqueducts, and improved farm techniques transform civilization? Essential question:How do the people, events, and ideas that shaped ancient China continue to influence the world? Learning Target: I can identify China's geography and locate the country on a map. Read pages 160-161 in the text together. 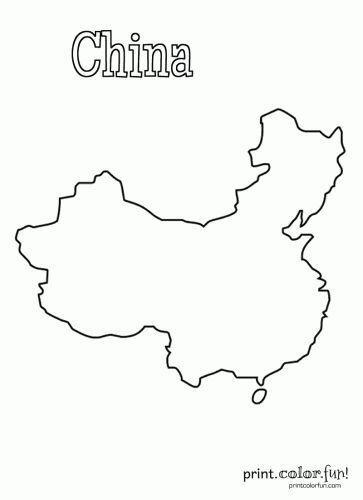 Today we will create a map of ancient China that shows the geography. Use the sites above and below to help you gather information about the rivers, mountains, and deserts that make up this interesting place. ​Share your map with a partner, how does your map compare with their? Make correction before gluing the map into your interactive notebook. Ticket out: Desribe in your own words some of the properties of light. Warm up: EOG review question: Who was Hammurabi and what was his code? Learning Target: I can identify key features that contributed to both the successes and difficulties that the people endured. Review map and glue your map into your interactive notebook. How did each feature(rivers, mountains, and deserts) effect the people of ancient China? What did the ancient people call "The Great Sorrow"
Go over answers to the three questions above. Create an ahah page for ancient China. ​Warm up: Why is the sky blue? Warm up: Complete any warm up that you have not this week. Check in Power School to see if you have any missing work.